I had all ambitions of making soup tonight and after my commute from work and stop at the grocery store I came home and ran out of steam. I went with another dinner that was planned for later in the week but it seemed much faster so I rolled with it. It was a recipe I had seen a few weeks ago on The Pioneer Woman and planned to put my spin on it...so that's what I did! Let me just start by saying that I got a big, "Wow, this is better than Chinese Kitchen!" (One of our favorite take-out restaurants). Job well done I'd say! I swear this was actually said and not prompted by me...I would never do that. Truth is, once you prep these ingredients it comes together so fast. 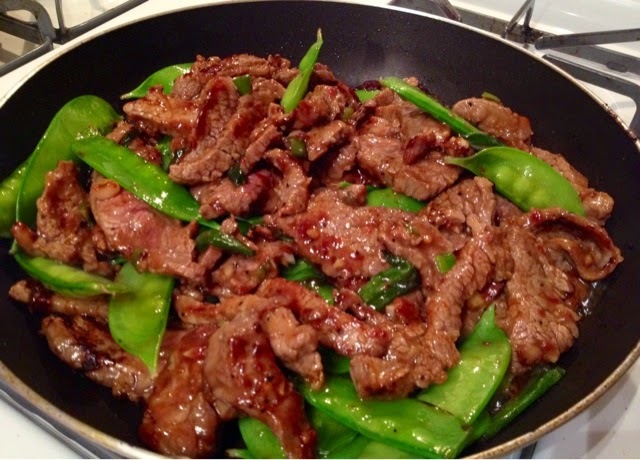 I love Chinese take out but this recipe lets you control the quality of ingredients and the amount of sodium. I hope you give it a try! With a sharp knife slice 3-5 green onions. I like to chop the bottom white portion into thin slices and cut the green tops into 1 inch pieces. Then slice the flank steak into thin strips against the grain. 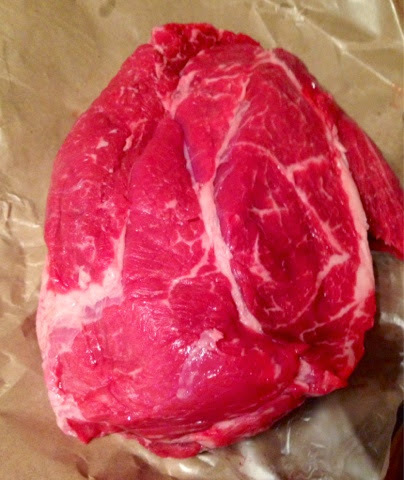 It helps when the meat is cold so if time permits throw the steak in the freezer for about 15 minutes before slicing. Pour yourself a beverage. 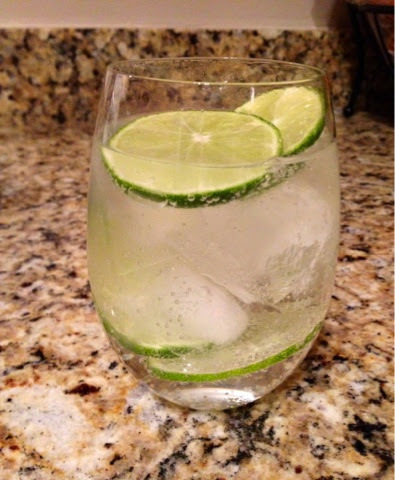 Tonight I had Pellegrino with lime, one of my favorite drinks when I'm taking a night off wine. 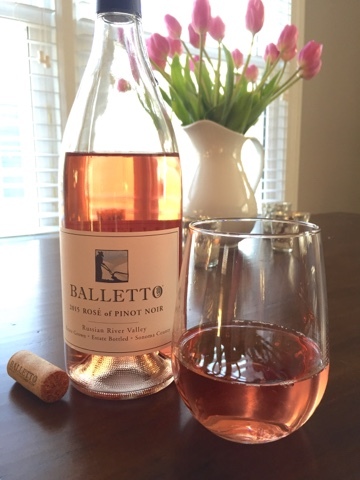 Yes, it's true, I don't drink wine every night although it happens more often than not! 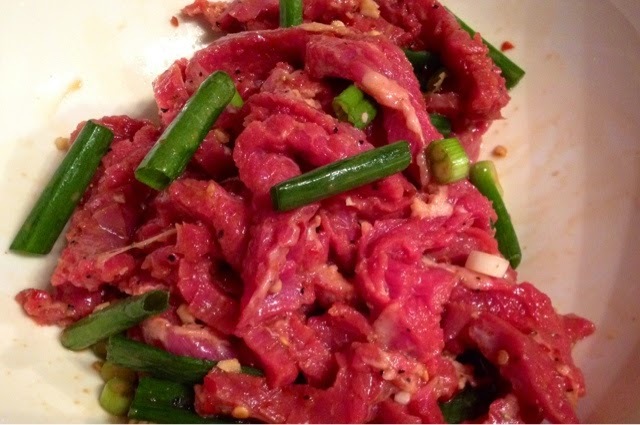 In a measuring cup pour 3/4 cup beef broth, 1/4 cup soy sauce (low sodium or regular), 1 tsp black pepper, 2 minced garlic cloves, 1 tsp minced fresh ginger, 1 tsp Sriracha, 1 tbl chili garlic paste, and 2 tbl cornstarch. Whisk with a fork until evenly combined. 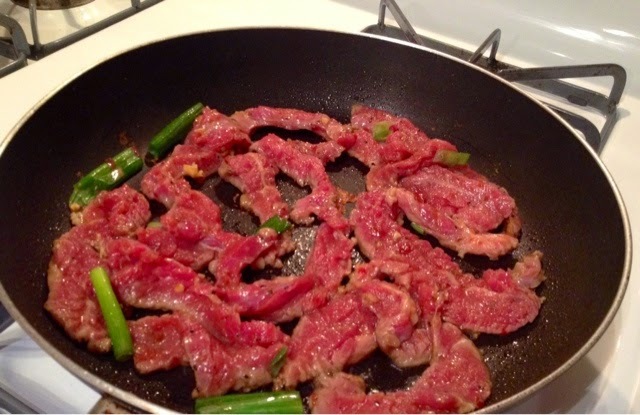 In a medium bowl combine 1/3 of the marinade over the flank steak and green onions. Let it sit while you prepare the snow peas. Heat a medium/large pan to high and drizzle in about 1 tbl of canola oil. 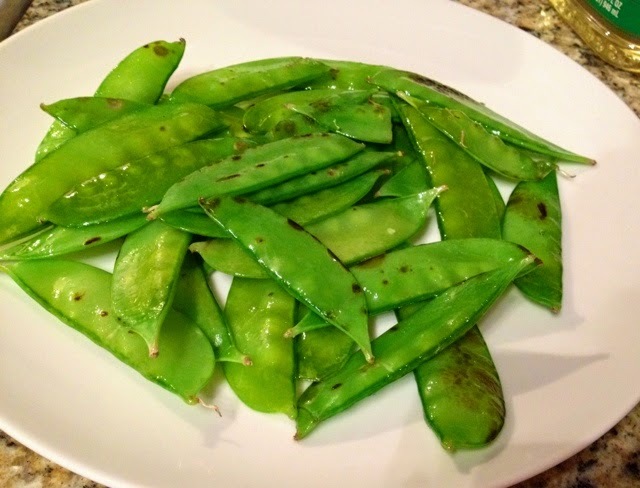 Throw in the snow peas, trimmed if you prefer, tonight my hunger didn't mind the ends. Sauté for about a minute, tossing every few seconds to evenly color the snow peas. *If you live in a small apartment like I do, have someone with a towel ready...my smoke alarm is very sensitive! 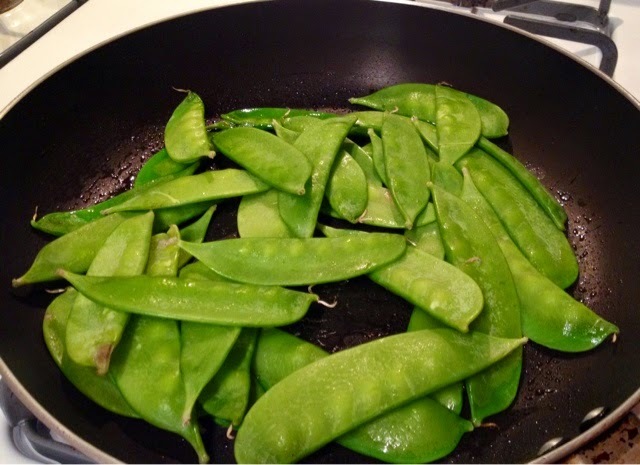 Remove the peas from the pan and reserve on a plate. Now for the beef! In a single layer cook the flank steak for about 30 seconds on each side to caramelize. The onions will just wilt and add to the flavor, don't worry about those! Oh, how marvelous!! 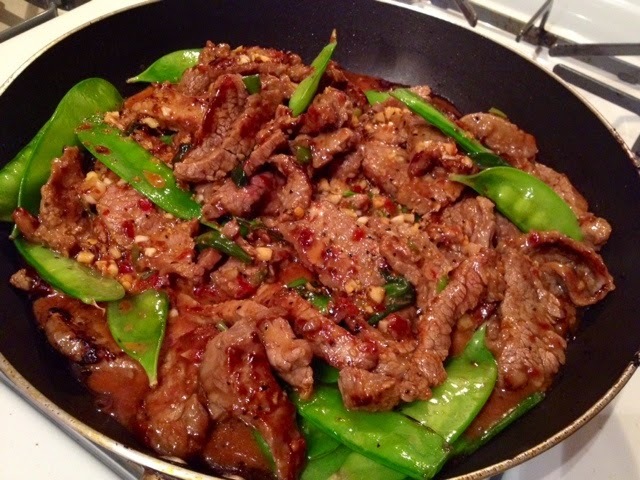 Don't worry if the meat isn't fully cooked, transfer to the plate with the snow peas. They'll finish cooking in a minute. Repeat this step until all of the meat had a chance to sear. 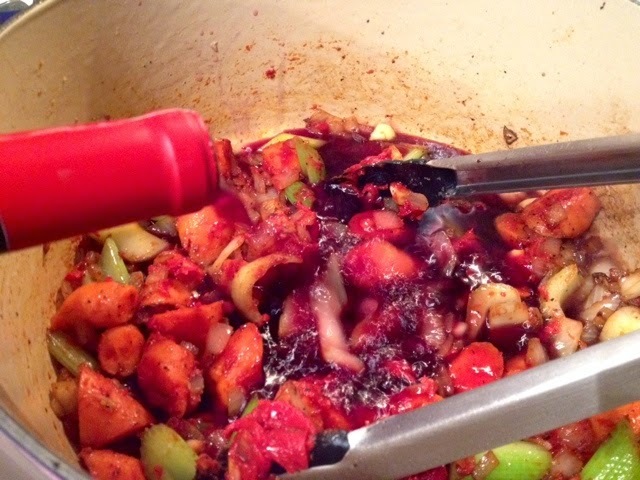 Pour everything back to the pan including the juices that accumulated on the plate. 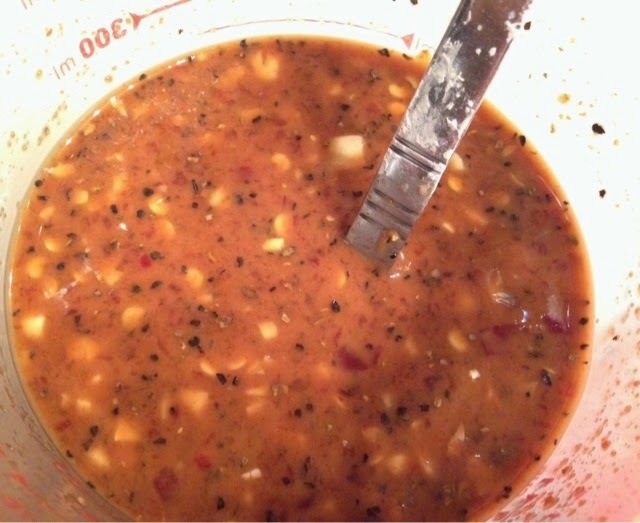 Pour in the remaining marinade and bring up to a simmer. 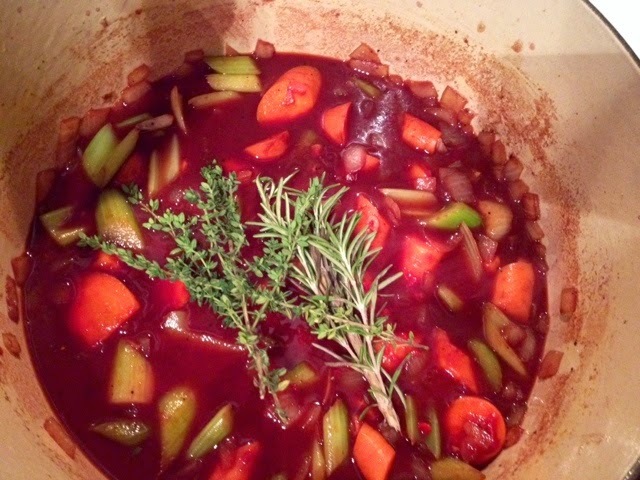 The sauce will thicken and coat everything so deliciously...yum! 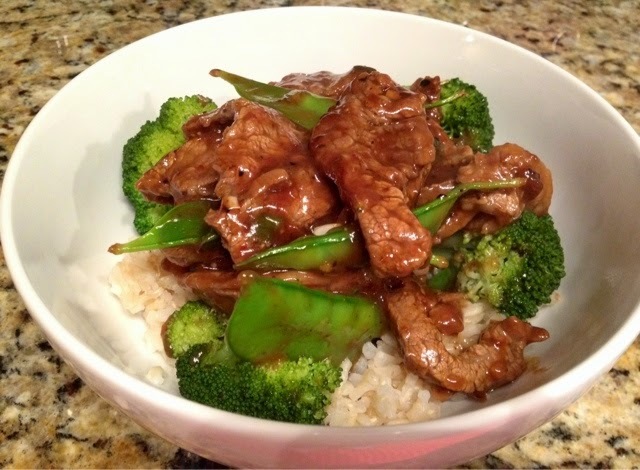 Serve over your choice of brown or white rice. Quinoa would be good too. I make a big batch of brown rice on Sundays to have on hand for the week. It's nights like tonight that make me thankful I don't have to wait 45 minutes for rice to cook! I also steamed up some broccoli to up the healthfulness. Is that even a word? It is now! 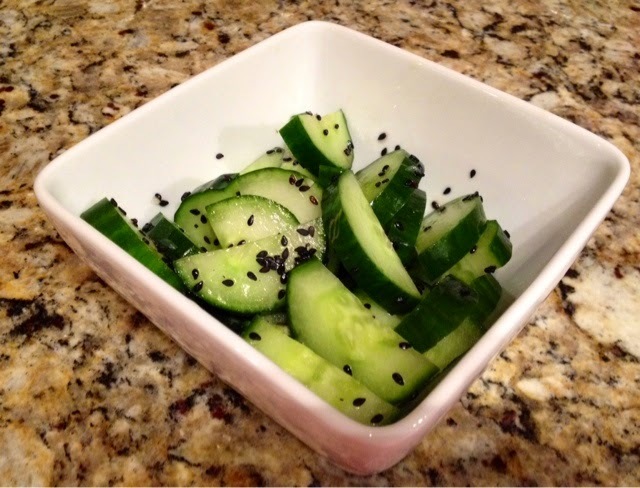 I also made a simple cucumber salad, dressing the halved slices with a splash of rice wine vinegar and sesame oil, tossing to coat and finishing with a sprinkle of black sesame seeds. Fall is officially here in Chicago! The air is crisp in the morning which breaks way for a warm sunny afternoon and then chills down at night leaving no need for air-conditioning. It's the best weather in my opinion. I've packed away my sandals and shorts, made my boots and sweaters the forefront in my closet, and dusted off my pride and joy...my Le Creuset. Okay, it wasn't actually dusty....I've certainly come up with ways of using it this summer! I'll soon share with you my passion for this beauty, but for now, just know, I couldn't cook without it. So here we are, I'm feeling inspired by fall and decide that it's short rib season. Technically, it will always be short rib season but there's something about it's maddening deliciousness that doesn't scream 85 degree weather (No offense to those living in areas consistently warm and heavenly, I'm sure you enjoy them just fine any day of the year). So anyways, I head to my local grocery store and pick up almost habitually all of the ingredients I need to make my short ribs. No recipe, just instinct. I even stopped at the wine section and asked the buyer which bottle of wine would pair perfectly with the dish and listed all of the ingredients I planned to use. After getting a sample, I love when that happens, and decide I'm splurging on it, I head to the butcher counter and ask for 3-4 pounds of short ribs. He gave me a forgiving look and explained to me that he was out of them, but that a boneless chuck roast would substitute nicely. I somehow mustered a smile, concealing my rage, and thanked him. "Sure, that's no problem! 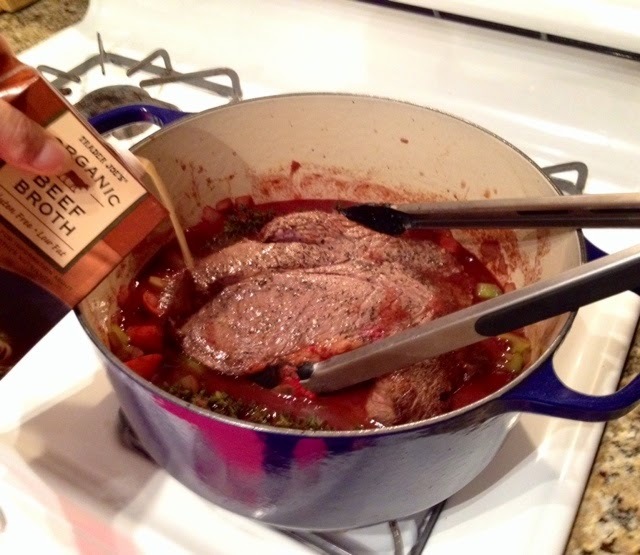 A chuck roast will do." What?? That's not even comparable! 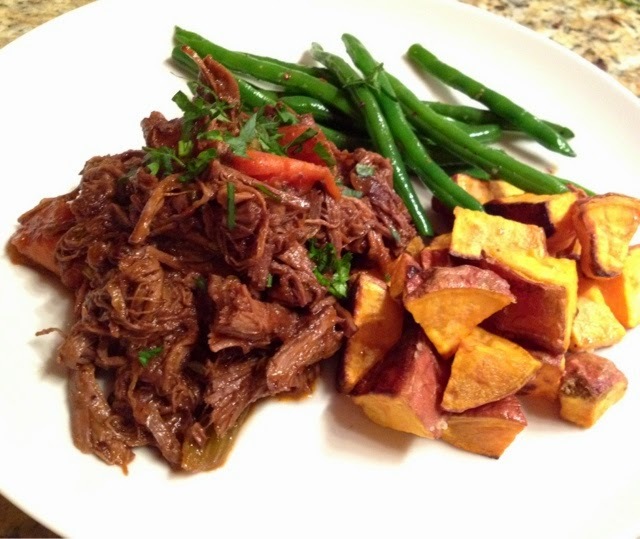 What the heck do you do with a chuck roast? Well, apparently, you make great pot roast. Yes my story sounds dramatic and to those who've never experienced great short ribs, you have no idea what your missing. But truly, this meal turned out phenomenal and I will be making a chuck roast again, very soon. As I'm writing this post I'm happy to report that I have since found great looking short ribs and they are sitting anxiously in my freezer. Happy ending isn't it?! This method I used to cook the chuck roast is almost identical to how I cook my short ribs but I'll post that recipe in due time. Remove your roast from the fridge about 45 minutes before you plan to cook it (This is pretty standard for any cut of meat to ensure the meat will cook evenly). Take a few paper towels and pat the roast really well to remove excess moisture and season liberally with salt and pepper. Meanwhile, get your pot/dutch oven/whatever you have to go from stove top to oven safely, screaming hot. Add in a little butter and olive oil, equal parts, just enough to coat the pan. Add the meat and sear for about a minute on each side, until nicely browned. The butter may get a little brown and toasty, no worries. It'll add flavor! Take the meat out and let it rest on a plate. This is by no means cooked, just taking a breather before the next step. Now throw in your veggies. 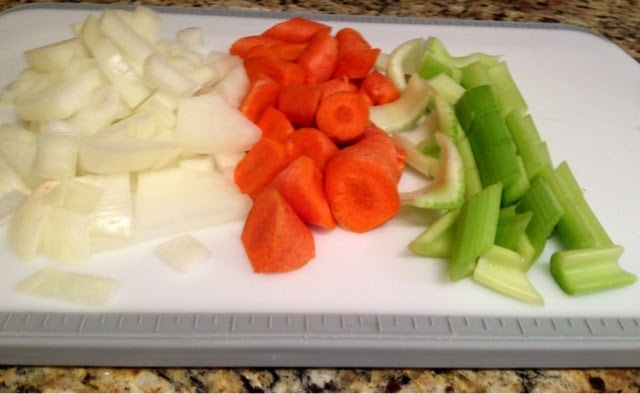 I used a few carrots, celery, and a whole small onion, chopped in large chunks. No fancy knife skills required. Sauté over medium high heat for a few minutes until the vegetables start to lose their crunch and the colors start to develop. Season the vegetables with salt and pepper and add in 2 tbl of tomato paste. 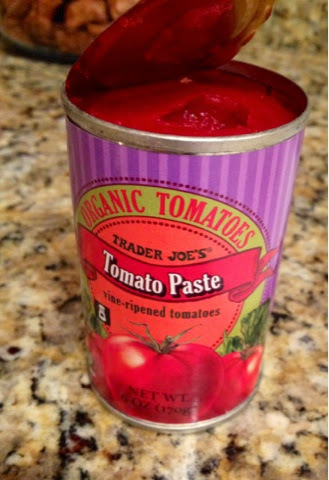 Give it a nice stir to "wake up" the canned tomato product. I always remove whatever is left in the can and freeze it in a small Ziploc bag for future use. Otherwise, I stick it in the fridge and forget it's there until its past its prime. 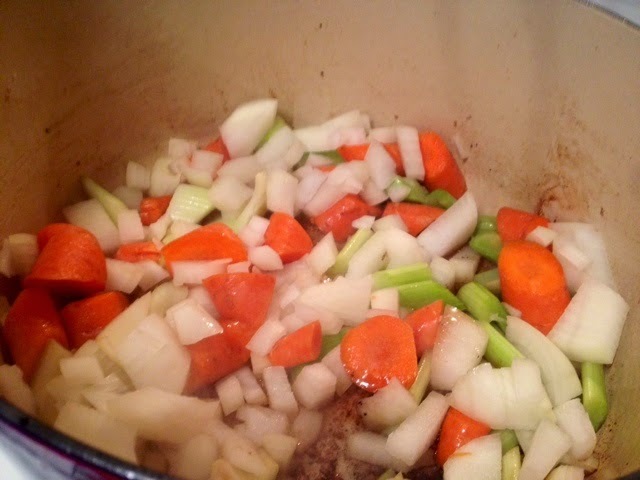 Add some fresh sprigs of thyme and rosemary and then slide the meat back in. The wine should come to about 1/4 way up the meat so I finish with about 2 cups of beef broth, just to about 3/4 of the way up the roast. Put the lid on and place the pot in a 375 degree oven for about 2.5-3 hours. At about 2.5 hours I check the meat by piercing it with a fork. If the meat falls apart without any effort, then it's ready. If its hard to pull apart of shred a piece off, it needs more time. 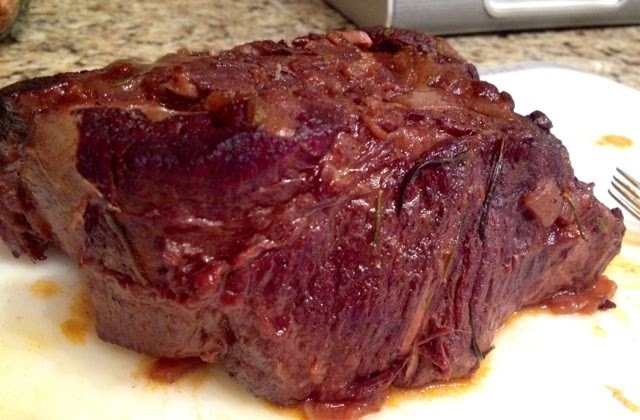 Patience is truly the only thing needed to succeed at a tender chuck roast. When it's beautifully tender remove it carefully and let it rest on a cutting board. Take 2 forks and just shred it as fine or large as you like. Meanwhile, check your cooking liquid left in the pot. By now a little fat or oil will surface to the top. No biggie, just skim it carefully with a spoon, making sure to not go overboard and lose that fabulous sauce! 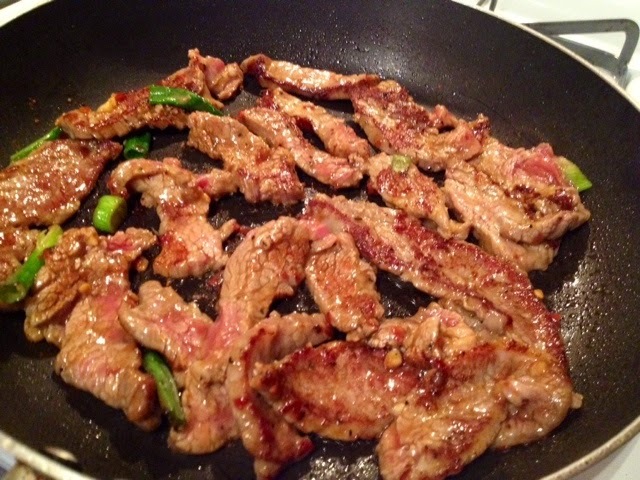 Add the meat back to the pot and stir to combine. You'll see evidence of super tender veggies and a rich sauce that seems to coat every piece magically. That's it! Serve over mashed potatoes, pasta, rice, you name it! 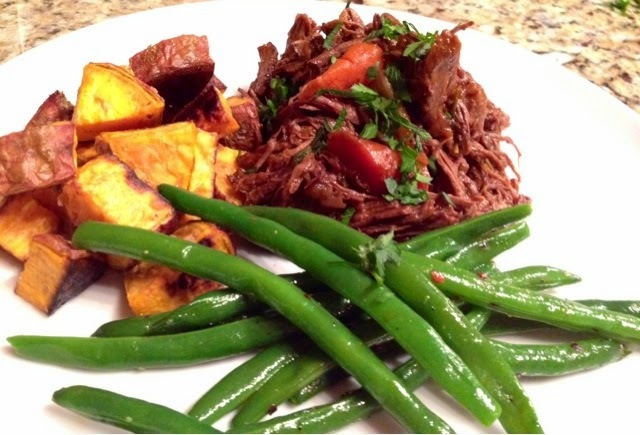 I served mine with roasted sweet potatoes and green beans for a healthier spin. The funny thing about getting engaged is learning about my desire (or lack there of) to begin the wedding planning. There are so many big decisions to be made and being indecisive as it is, it's tough! There are many beautiful options for ceremonies and receptions...but how do you make the choice? Local or destination, fall or end of summer, Friday or Saturday, chicken or steak? I'm so afraid of making a bad decision to even make one! I know, because I've heard stories, that wedding planning is like having a second job. But who has time for that? I'm already pretty busy between my full time job and blogging but apparently I don't know busy! For whatever reason, I feel so anxious to begin the planning, because I know it's a domino effect from here. First comes the venue and date, then comes everything else. Less than 8 hours of being engaged I was already asked when our wedding would be...um hello, I haven't even gotten used to seeing a rock on my finger, let alone setting a date! Nearly a month later and I feel guilty for not knowing our plans when asked. Don't get me wrong, I can't wait to plan the wedding I've been dreaming about since I was a little girl but the fairy tail ending has bills that add up to more than my years salary! 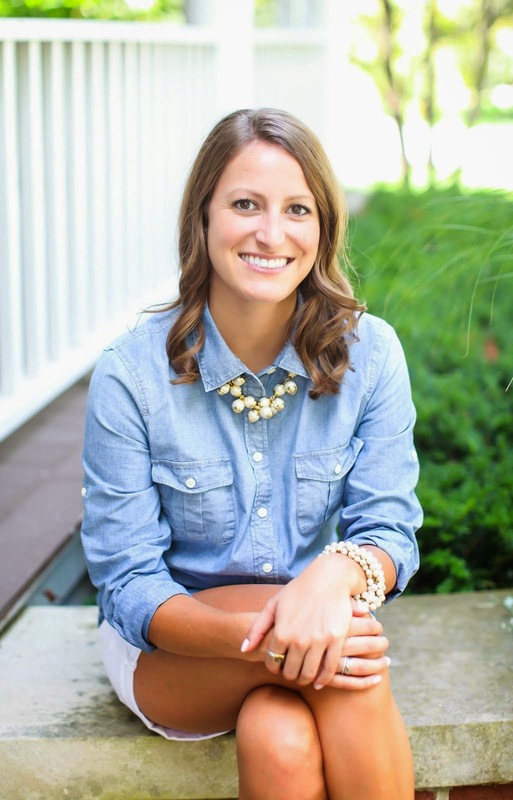 Do you know how much weddings cost?! It's a heck of a lot of money for a day and quite frankly, I'd rather see that money go towards a down payment on a house for my fiancé and I to live in for years to come. I never would have said that a year ago but with age comes practicality and I now know, you can't have it all at one time. Brides always seem upbeat and joyous and I have to wonder where the realism comes to play. Are their weddings 100% paid for so they don't have to think practically or are they hiding the "real stuff"? These magazines I'm reading don't mention how to get married on an actual budget, just displays of $$$ signs and it's making me wonder if I'm the rare exception or if other brides experience this predicament. So here comes goodbyeee... to all the pretty things at J. Crew that I'll have to pass up for awhile, because saving money is brutal! At the end of the day, I can't wait to marry my best friend and build our lives together. So I suppose it shouldn't matter the location or the cost of flowers or how talented the photographer is...it'll be the best day of our lives! Anyone with advice or tips are certainly encouraged to speak up! I'd love to hear your story! Enough rambling, let's get to the food! 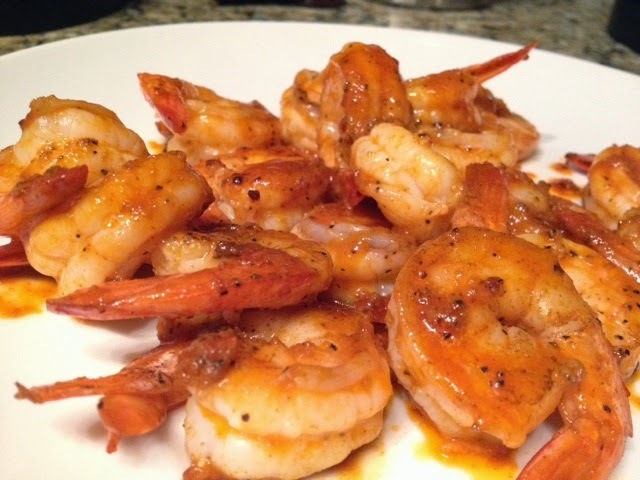 Recipe for buffalo shrimp posted below. 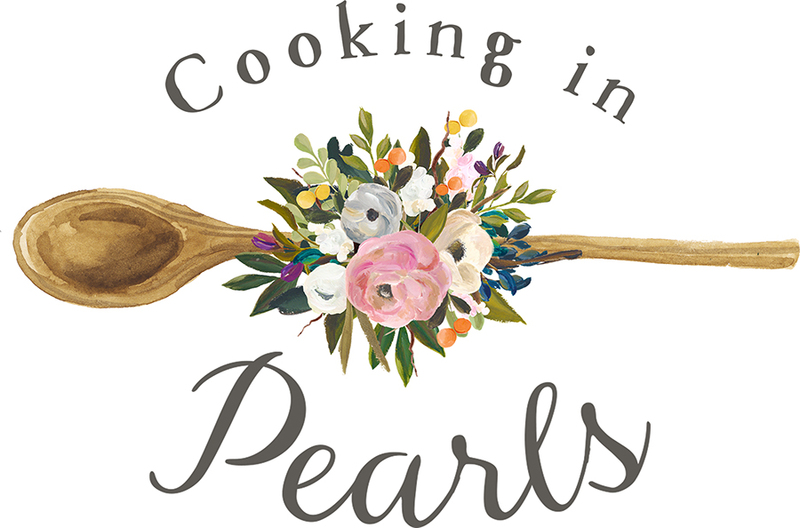 I made this dish as a quick appetizer Saturday night and it's so simple that it actually adds to the deliciousness of this dish! Start with a screaming hot pan and add 2 Tbl butter and a splash of olive oil. 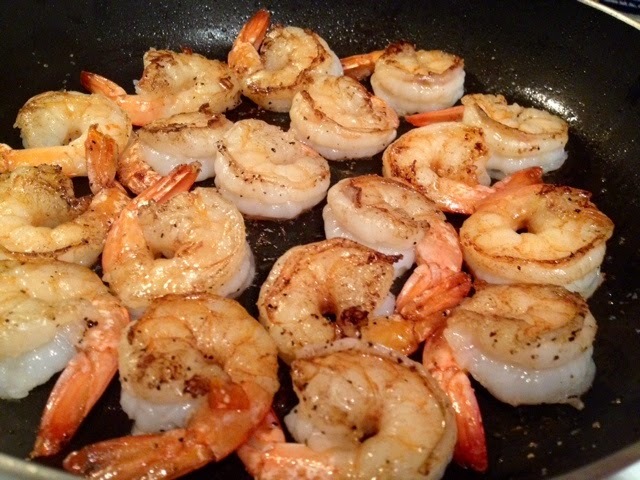 Wash and pat dry about 3/4 to 1 pound of shrimp (peeled and deveined) tails on, in a single layer. Season with salt and pepper. After a minute flip the shrimp to the other side and continue cooking for another minute. Next, pour in about 1/4 cup buffalo sauce (I like Frank's) and toss to coat. 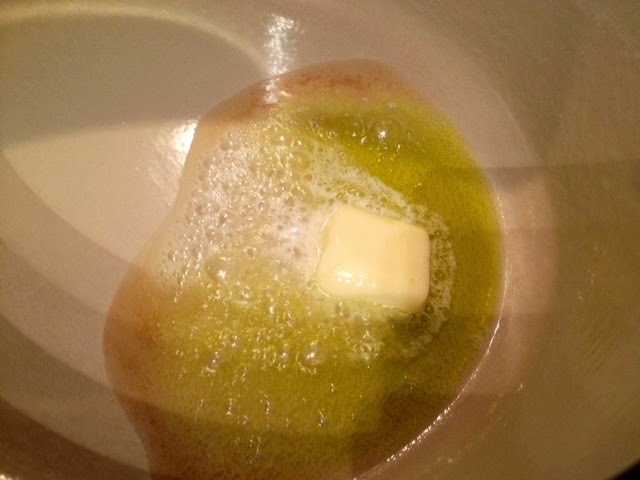 Finish with another Tbl of butter. (Optional...but it's totally worth it). That's it! 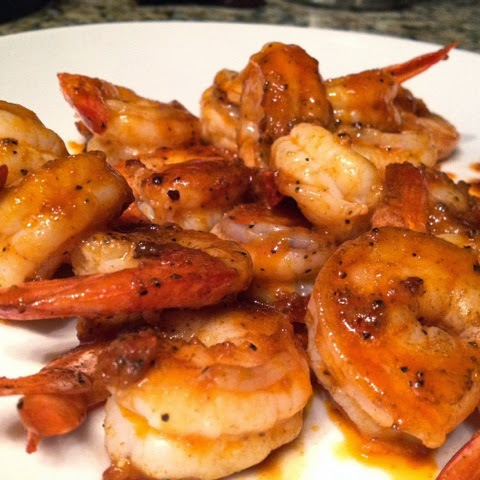 Takes 5 minutes and creates a delicious appetizer or snack!